As a professional makeup artist, I am most frequently asked to create a dramatic look centered around the eyes. My clients are always interested in learning how to create a sultry smokey eye, bold line or apply false lashes. I will help you determine a color scheme appropriate for you and provide you with the best tips & techniques to apply this look based on your coloring, eye size & shape. The class will begin with a natural daytime look, followed by a cat eye tutorial, we will then build to a more dramatic and intriguing eye for evening. Learning how these 3 techniques, and how they work together, will enable you to take your look from day to night, and really add some variety to your makeup routine. 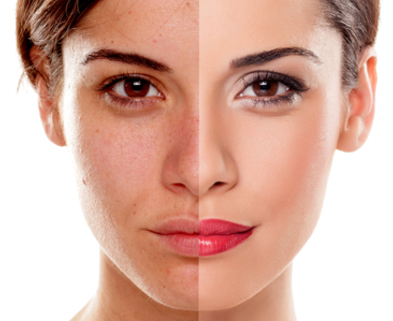 I will be creating looks using Jane Iredale products which are always available at Bliss Beauty Bar. I will demo the techniques on a model and work with you as you practice on your self. BONUS – Do not fear the lashes! Complete the bold bombshell look with a lesson on false eyelash application. Lashes will be provided for you to use. 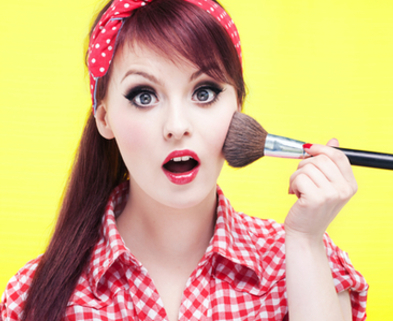 2015 has been dubbed "The year of Contouring" by the beauty industry. This secret strategy (once reserved only for use by pro makeup artists on celebrity clients) has now become part of every glam girl's toolbox. Be it strobbing, bronzing, or sculpting these beauty hacks are here to stay. Join me as I show you how to use a variety of products to enhance your own unique face shape. I will teach you how to bring out your best features and sculpt a slimmer more defined facial bone structure. I will be demonstrating the techniques using the Jane Iredale line of products which will be available for students to use during the class session. Students are welcome to also bring their own highlight and contouring products which I will teach you how to use. Students who take this class will be entitled to a purchase Jane Iredale products from Bliss Beauty Bar at a 20% discounted rate. Join us at the fabulous Bliss Beauty Bar Bridal suite for a spooktacular makeup class. This fantastic class will be taught by professional Makeup Artists Meagan Impellizzeri and Alysa Clayton. Let our expert instructors teach you the skills required to create a beautiful and haunting sugar skull makeup look. Sugar skull makeup was traditionally worn in Mexico as part of the "Dia De Los Muertos" or "day of the dead" holiday celebration. In recent years this holiday has exploded in popularity across the US. Your class fee will include a sugar skull makeup kit for you to take home, so that you can recreate the looks you learned in class at home on yourself or on someone else for a special party. Join us in the gorgeous Bridal Suite at Bliss Beauty Bar to learn the secrets to this retro bombshell look. We will show you how to create a classic Pin up look using the following techniques - "Cat Eye" with the signature feline flick. -Bombshell lips -insider tips and tricks -Hollywood highlight and contour techniques Meagan will be demonstrating using the techniques using the Jane Iredale line of products which will be available for students to try during the class session. Students are welcome to also bring their own products products which Meagan help you learn to use properly. Students who take this class will be entitled to a purchase Jane Iredale products from Bliss Beauty Bar at a 20% discounted rate.